Goals that Change Lives: Mastercard to Donate 10,000 Meals for Each Goal Scored by Messi or Neymar Jr.
Mastercard is taking another significant step in its commitment to help combat childhood hunger and malnutrition in Latin America and the Caribbean (LAC). For the first time in history, goals made by football icons Lionel Messi and Neymar Jr., will transcend the playing field. Starting today and running until March 2020, each time Messi or Neymar Jr. score a goal across any official tournament, the company will donate the equivalent value of 10,000 meals to the United Nations World Food Programme (WFP). 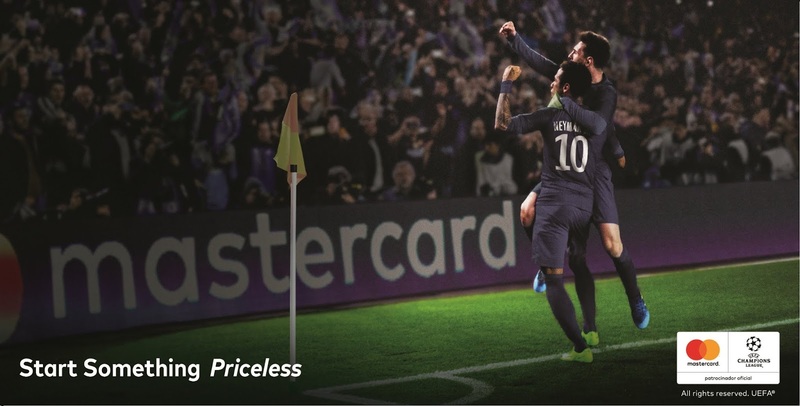 The initiative is part of the company’s Start Something Priceless campaign launched on April 10th, which brought together Messi and Neymar Jr. to kick off the #TogetherWeAre10 social movement. #TogetherWeAre10 was designed to inspire Latin Americans to unite for a common cause: improving the lives of thousands of children suffering from hunger. Goals will be scored both on and off the field. “I’m proud to be a part of this campaign that will help change the lives of thousands of children in my country and other regions of the world. I hope this initiative gives as many smiles as possible to all the children.” Messi said. “We hope that through this effort, more children will have the opportunity to become 10s,” they added. Aside from tuning goals into meals, Mastercard is also encouraging everyone in the region to take part and Start Something Priceless. Each time the hashtag #TogetherWeAre10 is used across social media channels, Mastercard will donate the equivalent value of one meal to the WFP. It’s that simple: each use of #TogetherWeAre10 equals one meal. Mastercard (NYSE: MA) is a technology company in the global payments business. We operate the world’s fastest payments processing network, connecting consumers, financial institutions, merchants, governments, and businesses in more than 210 countries and territories. Mastercard’s products and solutions make everyday commerce activities – such as shopping, traveling, running a business, and managing finances – easier, more secure, and more efficient for everyone. Follow us on Twitter at @MastercardLAC and on LinkedIn, join the discussion on our blog, and subscribe for the latest news on our Engagement Bureau. AdStasher: Goals that Change Lives: Mastercard to Donate 10,000 Meals for Each Goal Scored by Messi or Neymar Jr.